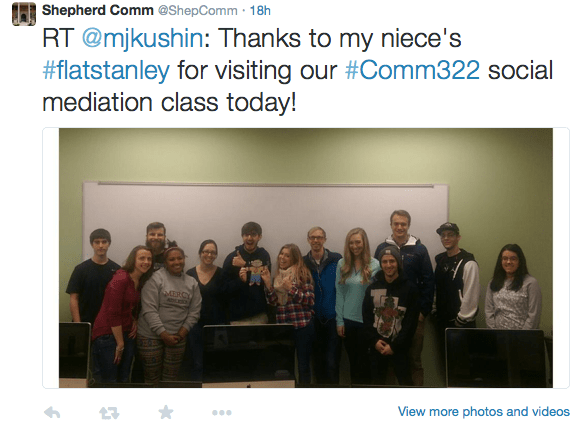 This past semester was the inaugural offering of Comm 470 Strategic Campaigns in the Department of Communication here at Shepherd. And with that, I’d like to offer a brief reflection on the experience. It was a great learning and growing experience for both me and the students! We were extremely fortunate to have worked with Discover Downtown Charles Town, an awesome cause that seeks to promote and help revitalize a wonderful small town near our campus: Charles Town, W.Va. We got to meet and work with Van Applegate and Patrick Blood, two of the awesome people who helped turn this cause into a recognized not-for-profit during the semester (and have gotten a good bit of positive coverage for it along the way). I’ve taught courses before that have worked with clients in the past, like our Social Media and Social Movements class that did some great work for the American Conservation Film Festival a few years ago. But this semester was special for me because it represented the first time students were taking the seminal course in the Strategic Communication concentration I officially added to the curriculum in Fall 2013. So it gave me an opportunity to see what the students had learned and how they had matured over the two and one-half years of taking my classes. In a sense, it was the first ‘graduating class’ of the concentration (though not entirely as a few of the students have not yet taken all of the classes). It is always a different animal when your class is working for a client for an entire semester, especially when the client is participating not just with the goal of helping students learn but with the hope of implementing some of the ideas and work that comes out of the class! The high stakes and knowing that if they produce high-quality, professional materials that meets the needs and goals of the organization, it could be more than just an assignment – it could be implemented by the client! -, are a great experience and motivator for the students. And I’m proud of how well the students came through! Raise awareness of Charles Town Now and its mission among local businesses and community stakeholders such as the town council. Get local businesses to buy into Charles Town Now’s efforts to assist downtown Charles Town businesses to expand and grow. A major emphasis was to find ways to bolster the success DDCT is already having through their Charles Town Now (#StartCT) social media campaign and augment or provide a number of things they were in need of. One part of this included bridging their highly visible social media presence online with the analog world, where what they are doing is a lot less obvious to the person walking the street of downtown Charles Town. Monthly email newsletter offering an additional avenue to stay in touch with residents, visitors, and shop owners (with added benefit of reaching the demographic that doesn’t use social media). Proposed new blog for DDCT including sample posts – purpose of which is to tell the unique story of the people of Charles Town and what makes living, working, and owning businesses in Charles Town so unique and special. DDCT branded window-signage for businesses downtown to promote their social media and promote awareness of DDCT. Proposed new blog for DDCT including sample posts – with the same purpose in mind as above. Both teams also produced a targeted media list of legacy and new media outlets using the CisionPoint software, but those were only turned into me as an assignment and were not distributed to DDCT per the CisionPoint education program terms. The students got some great feedback and kudos for their ideas and their work. I’m proud to say that some of the materials the students created from their campaigns are already being used by DDCT. And I know the students are proud as well! I want to thank Van and Patrick from DDCT for volunteering to work with our class, taking the time out of their busy schedules to do so, and for the amazing learning opportunity they provided our students! Congrats to all of the students who participated in Strategic Campaigns this semester! Great job! I am looking forward to continuing to grow and enhance the concentration and the classes. And I feel a great sense of pride in what our students have already accomplished in the brief time I’ve been offering these classes! I hope everyone is enjoying the winter break and staying warm! Note: I’ve written a bit more about our client and the course project here. And a copy of the Strategic Campaigns syllabus and an overview for Fall 2014 are available here. Note: Due to the news with Google link schemes, I got a little off track with my #TryThis! themed blog posts. Here is 1 of the other 2 I had planned. Here is another great tool I love for engaging students in teamwork in the classroom – using Google Drive Documents (formerly Google Docs) for real-time classroom collaborative activities. Here’s what I mean. 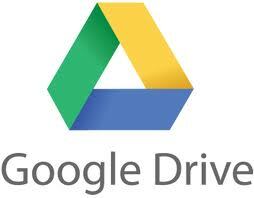 (Not familiar with Google Drive? Check out video below). If you teach in a classroom where students have access to computers, Google Docs is a great tool to use for having students work on a common document in real-time. That’s because with Google Docs many people can work on a document at the same time, in real-time. Here is a scenario in which I would use this cool tool. Each team (3-5 students) gets a separate Google Doc that I created ahead of time and shared publicly so anyone can edit it (I’ll explain how to do that below). In my social media class, I might give students a set of problems (questions) to solve. For example, maybe I am trying to teach about gathering social data through Hootsuite. I don’t want to just lecture them about how to do it. I want them to learn by doing. To stimulate that, I want them to work in a team to gather the data, and paste it into Google Docs so they can analyze it and look for any trends. What are 5 examples where XYZ Company did not respond to a Tweet sent to them? Students would look through their stream for Tweets @XYZcompany, find the 5 they need and paste them into the document. Since everyone can see in real time what others are posting, it is easy for them to work as a team to answer the question. Alternatively, some teams tend to break up the work to answer all the questions more quickly. I don’t mind this. It saves class time (which is precious) and lets us get more quickly to the analysis and discussion of whatever topic we’re covering. This is a simple example with a simple question, but you get the idea. The tool can be used for more involved questions. I like to use it to “gather evidence” that leads to a question(s) that involves analysis and decision-making. Discussion and teamwork are encouraged by the real-time Google Doc set up. In our simple example, perhaps students need to consider course content and then create their own responses to these Tweets. Since everyone doesn’t have to crowd around 1 computer in drafting their responses, it isn’t a situation where 1 person is “in charge” and everyone else can tune out. Students can also type in comments and interact on the document, like they do in their everyday interactions with others online. After they are done, I can easily pull up their documents onto the screen (because I have their URLs), show them to the class, and give students the opportunity to explain their answers and the reasoning behind it. I can use this to encourage discussion, particularly if I compare their answers to another team’s. Log into Google Drive or create an account. Choose “Anyone with the link”. 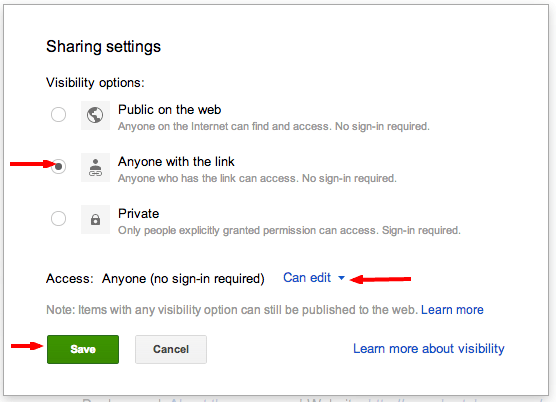 For Access, choose “Can Edit.” Click save. 2) Sharing the Document with Students – The URL for Google Docs is annoyingly long, not good for sharing. So use your favorite URL shortener to create uniform links for the assignment. I like Bitly but any works. That way, each team just types in the short link into their browser. Just note that Bitly links are case sensitive. I usually project these links on the board. Students seem to struggle with going to the URL. But I have found consistent labeling works and they pick up on it after 2 or 3 Google Doc exercises. 3) Test it – go into your computer lab and make sure it is working. If too many people are on a document at once, it can sometimes freeze up. So open up the file on multiple computers and hop around from 1 to the other typing. Even with more than 4-5 people on the document, if your computers or Internet are slow this may not work for you. (For me, most days I have no problems. But once in a while I do). Also, decide what browser you want students to use if there are multiple available on the computer. I found last year during a class that Google Docs worked in some browsers but not others and this confused students. 4) Test Copy and Paste Feature – If you want them to copy screen shots and paste them in the Doc, test that too. Different browsers work better with pasting images into Google Docs. I found Google Chrome unsurprisingly to work best. 5) Hold students accountable – what is the end result you are looking for with the activity? Technology for the sake of technology is not effective in the classroom. What do you want them to learn, to solve? Also, how are you going to grade them? Is this a participation assignment, and you are going to load their URLs after class for participation points? Truthfully, some students are only motivated by a grade, not the experience and outcomes of learning. So there are some students who won’t participate if they aren’t being held accountable. To try and curb this, I make activities worth participation points that add up over the semester. Or, I will have an activity today that builds up for an activity next class, the combination of which is a participation assignment. I also float around the room, look over shoulders, and ask questions or see if they have questions for me. 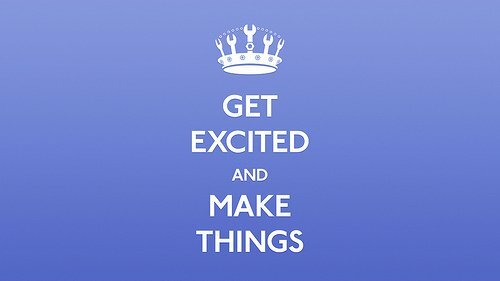 7) Stick with it – Sometimes students aren’t as excited as we are to try new things. But once they learn how it is done and why, and you have some experience, things will flow smoothly. That’s it! If you try this technique, have ideas for improving it, or have done something similar, I’d love to hear your experiences, advice, and thoughts! Great news! Monday night, the Shepherd University Curriculum and Instruction committee approved the classes I have created and the Strategic Communication concentration I have been working on since my arrival in the Department of Communication at Shepherd University. The new concentration will offer students an opportunity to learn to use social media, digital tools, and other forms of communication to plan and execute strategic campaigns. I am very thankful to the committee and my department for their enthusiastic support! While a lot of work has been done and this is a great accomplishment, there is more to be done before the concentration becomes part of the university curriculum. Next stop? I must next present the concentration to the Board of Governors here at Shepherd. Stay tuned!